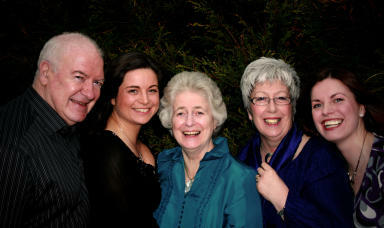 Dynasties of Gaelic song heads to Deeside later this month. Banchory’s Woodend Barn has announced that The Campbells of Greepe will perform at the venue later this month. With a rural background on the Isle of Skye where music was central to the whole community’s way of life, the group is a treasury of song and story who have picked up nine Mod gold medals through three generations. A spokeswoman for the venue said: “One of the great dynasties of Gaelic song, featuring broadcaster and musician Mary Ann Kennedy, will perform at Woodend Barn on April 29. “Pipers and singers who love to dance, they are widely considered the masters of puirt-à-beul, the mouth music of dance tunes and tongue-twisters that forms one of the most difficult genres of Gaelic song. “Mary Ann Kennedy will be familiar to many as the first lady of world music in Scotland for her BBC radio and TV work and is equally regarded as an influential performer and producer in her own right. Tickets are available from the barn’s box office.